1. 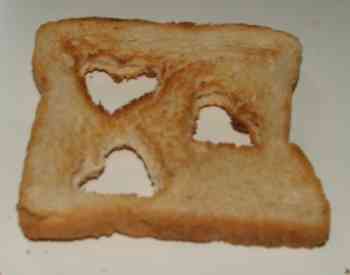 Cut little hearts from bread. 2. Toast the bread lightly. Cut other forms with other cookie cutters!